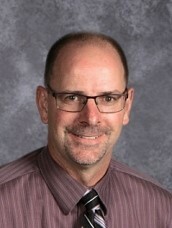 This is Mr. Peterson’s 28th year as an educator in the Madison Local School District and 11th as the high school principal. He received his Bachelor’s Degree from the College of Wooster where he majored in English. He then went on to complete his Master’s Degree in Administration and his Superintendent’s Licensure at Ashland University. Mr. Peterson and his wife, Heather, have two children, Morgan (25) and Cory (23) who are graduates of Madison High School and Cedarville University. Mr. Riggle is a 1999 graduate of Indiana University of Pennsylvania. He taught Math at the Knox County Career Center for 6 years. 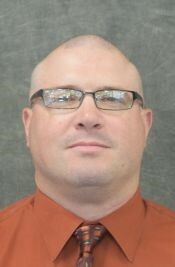 During that time, he earned his Master’s Degree in Educational Administration in 2005 and became the Director of Career Technical Education at Madison in 2006. This is Mr. Riggle’s 13th year at Madison. 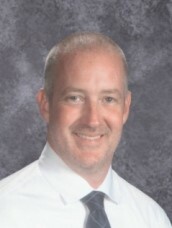 Outside of school, Mr. Riggle enjoys spending time with his wife, Kristen, and 5 children, Trey, Aidan, Nate, Benton and Sawyer, including attending Ram sporting events and other extracurricular activities. Mr. Conway is a 2001 graduate of the College of Wooster and has obtained his Master’s Degree in Education from Ashland University. He spent his first three years teaching in the Youngstown Diocese before spending six years as a social studies teacher at Crestview High School. In 2010, Mr. Conway came to Madison as the high school’s dean of students and currently serves as the assistant principal. He is entering his ninth year at the high school and has become an active member of the Madison community. Mr. Conway and his wife, Stephanie, who is a teacher in the district, have three children who attend the Madison Local School District.